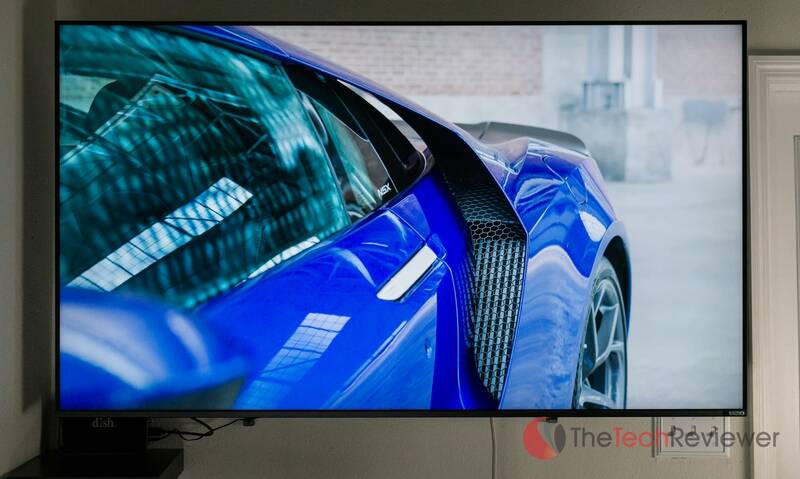 VIZIO M65-F0 Review | Affordable 65" 4K UHD HDR TV - Is It Worth It? The VIZIO M65-F0 is an affordable 65" TV offering the latest standards of HDR and 4K UHD technology. 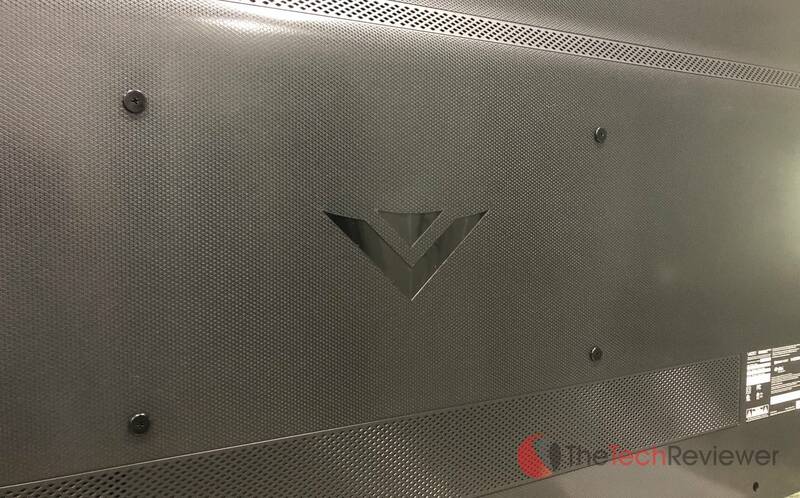 Disclosure: VIZIO did provide us with an evaluation unit to make this review possible. Rest assured all opinions and thoughts expressed are our own without any bias or outside influence affecting the outcome of this review. 65" full-array LED panel supporting 4K UHD resolution with Dolby Vision, HDR10 and HLG support. Excellent image quality, color depth and visual performance for the affordable price. MSRP is $1,299.99, but it is often discounted under $1K through most retailers (as low as $899 from Costco). Consumers who are looking to upgrade to the latest standards in 4K UHD and HDR technology without breaking the bank. Considering you can often pick this television up for under $1K, the M65-F0 from VIZIO offers some serious value on the dollar. It is cosmetically appealing, well built and offers competitive technical specifications. If you are on a limited budget but don't want to skimp on screen size or you want to upgrade to the world of 4K UHD HDR, then this TV model will be difficult to beat for under $1K. 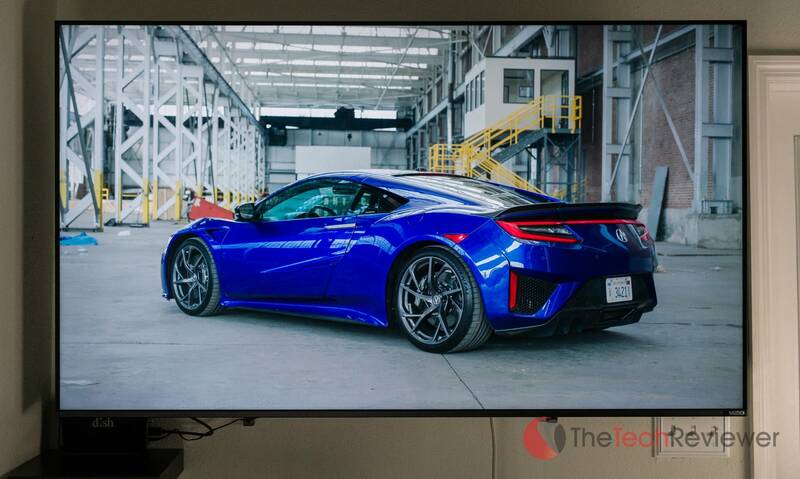 In our opinion, the only other 65" 4K HDR model that we can compete with the M65-F0 for under $1K would be the TCL 65R617 which offers comparable specs with a slightly better SmartOS (Roku TV). *Price as of 9/7/18. We may earn a commission from these offers. As the battle for televisions gets more competitive each year, the most prominent brands like Sony, LG and Samsung are fighting to hold market share as rising brands like VIZIO have shown to be a dominant force in the market over the past ten years. VIZIO is a brand that we have worked with several times in the past as they have been willing to provide evaluation samples in exchange for an honest, unbiased review. Last year, we took a look at their M50-D1 television as well as their SB3651 32" 5.1 soundbar. 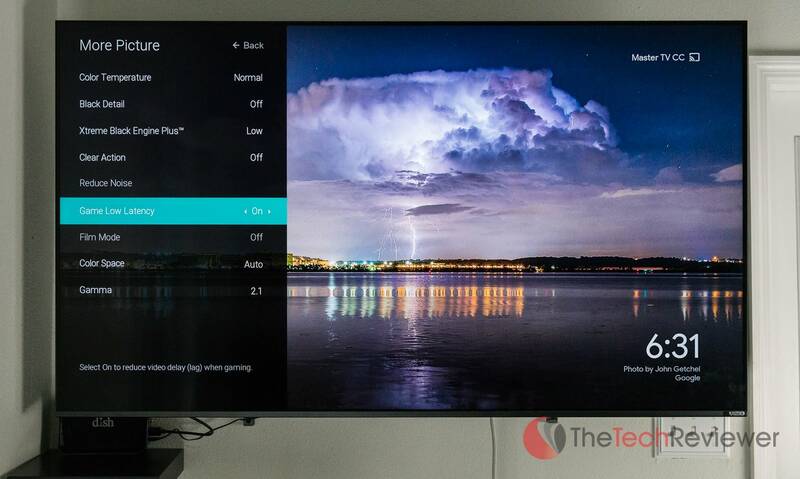 This time around, we will be taking a look at VIZIO's new line of M-Series televisions, in particular, we will be reviewing their M65-F0 model which is a 65" 4K HDR Smart TV. With an MSRP of $1,300, this isn't the most affordable 65" television, but when you consider the high specifications and supported formats, it is a great price especially since most retailers like B&H are offering it for just under $1K. Keep in mind, we are not compensated for our opinion besides having access to the product, so rest assured, we are approaching this review completely unbiased. Our goal is to ultimately determine whether or not we would purchase this product with our own hard-earned money. 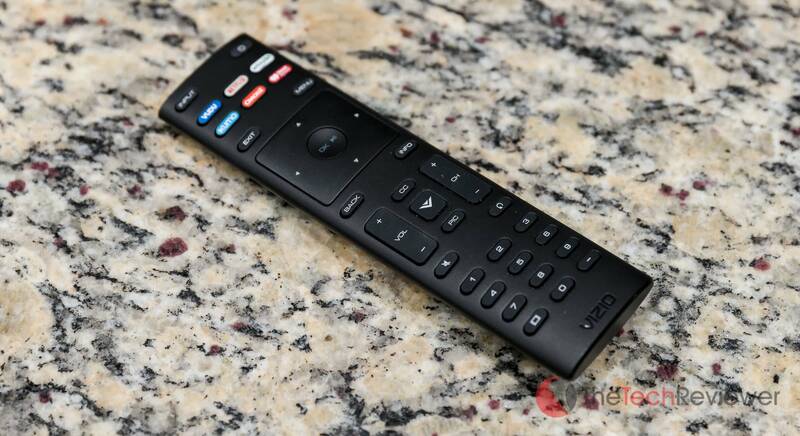 VIZIO is known for having excellent design elements throughout their range of models, and unlike some competitors, they tend to not skimp on the look of their cheaper models. Of course, we expect the highest-end models from television manufacturers to look the coolest and have the best build quality, but in the medium price-point that VIZIO's M-Series is in, they don't disappoint on either. Sporting a thin profile with compact legs and a "bezel-less" screen, the overall look of the M65-F0 is incredibly sleek. Bezel-less doesn't actually mean that it lacks bezels entirely, but they are minor. The frame is also darkly colored, so it blends in nicely with the screen. The legs are dual mounted on each side of the display, unlike some television models which utilize a single center mount. There are pros and cons to this, mainly the small size is more appealing to look at, but the reliance on two separate feet requires a large enough table top to be placed on. In any event, you can always mount the TV to the wall or a TV stand via a VESA mount. This model supports a 400mm x 200mm pattern with M6 screw sizes at a 20mm hole depth. Ultimately, I chose to mount the TV via this option as it suited the room best for my needs. The build quality is excellent with no noticeable skimping on quality. If there are any craftsmanship complaints, I'd say it is on the included remote which isn't bad but could use a better build as it feels rather light and cheap. As stated earlier, the M65-F0 is the middle of the range model from VIZIO, so the features are competitive for the price-point. 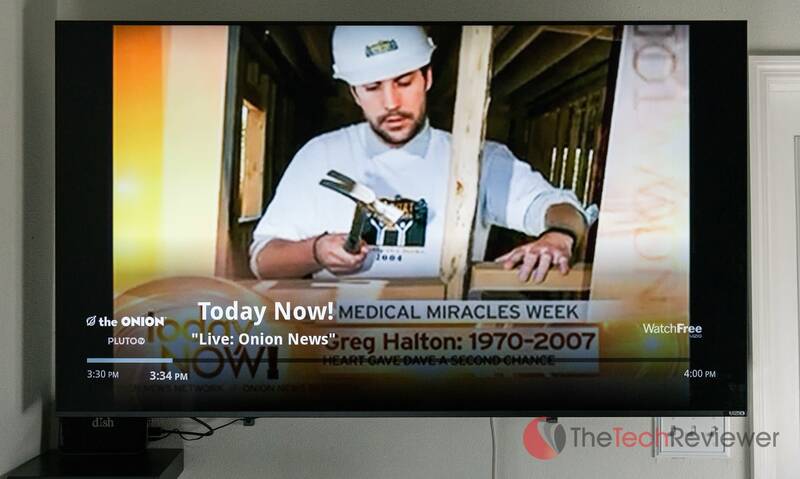 In this section, we'll cover the most notable features found within this TV and how relevant they may be to your needs. At this point, 1080P HD is the absolute standard in televisions although 4K Ultra High Definition (UHD) is quickly becoming more widely adopted and should be the new standard within the next years. For those of you who aren't familiar with resolutions, this is the number of individual pixels on the television's screen measured in width by height. 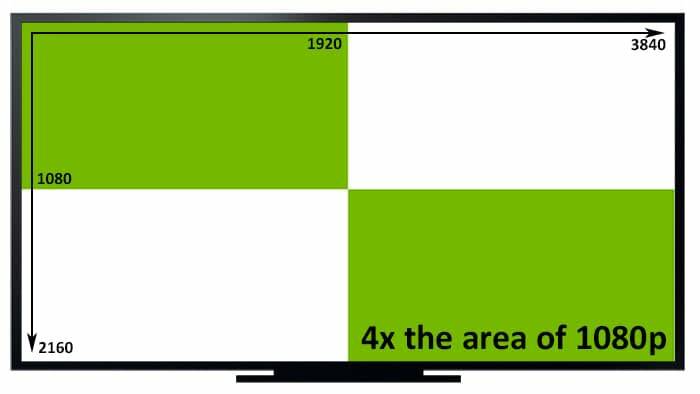 In comparison 1080P HD is 1920 by 1080 pixels yet UHD is 3840 by 2160 pixels, precisely four times as many pixels as 1080P. The resolution doesn't necessarily have any correlation with screen size. However, a higher resolution will often be related with higher clarity and contrast which is especially noticeable on larger panels like this 65-inch. Most modern televisions will be running an LED backlight which has many advantages including a thinner design, longer lifespan, and less power consumption. One of the technologies jointly used within LED backlighting is a "full array" with local dimming zones. This is a feature on LED TVs which allows the backlight to dim on parts of the screen displaying black. This results in deep and dark black levels which is great for gaming or watching TV/movies, however, it is not nearly as good as an OLED display like many of LG's high-end models are known for yet are highly costly. In the case of the M65-F0, there are 40 local dimming zones which are an adequate amount for a screen this large, but the high-end P-Series Quantum model jumps all way up to 192 zones. Separate from resolution is a term called HDR which stands for High Dynamic Range. This is a relatively complicated topic to explain, but we've embedded an excellent explanation video below from Linus from Linus Tech Tips. 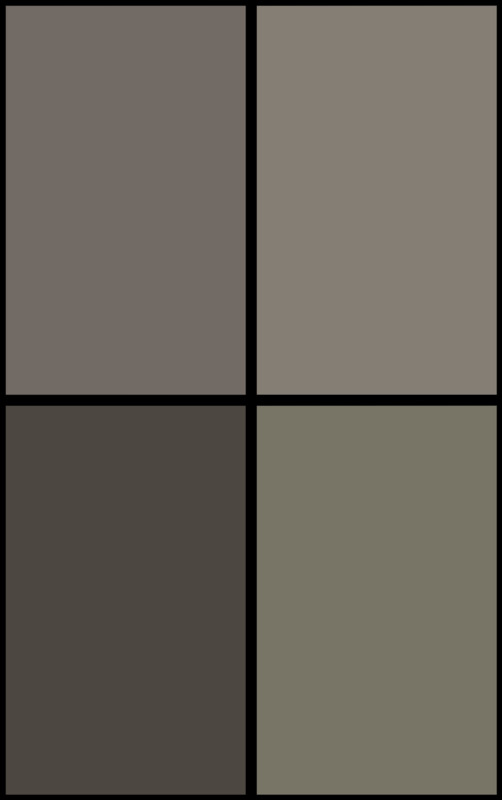 Dynamic range is the measurement of the darkest part of an image to the brightest. The higher the dynamic range, the better the amount of detail is that you'll see within the highlights and the shadows of the image. There are several popular HDR formats on the market for consumer televisions, and this model supports them all including Dolby Vision, HDR10 and HLG. At this price-point, the support for all of these HDR formats is a big advantage as most competitors will only offer support for HDR10. Keep in mind, these come into play when watching content that supports these formats so standard television won't be as applicable for HDR as content on Netflix, Amazon Prime Video or Vudu. When VIZIO first started shipping their affordable "smart" televisions, they decided to equip many of them with built-in Chromecasts and included a compatible handheld tablet in the box instead of going with a dedicated smart operating system. In the past, they updated previous models firmware (such as with our M50-D1) to offer their dedicated SmartCast OS but this required an upgrade of their existing remote which was a pain to request resulting in backlogged shipments and ultimately discontinuing the free upgrade altogether (yet still prompting me to enter a code for a free remote every time I bring up SmartCast). 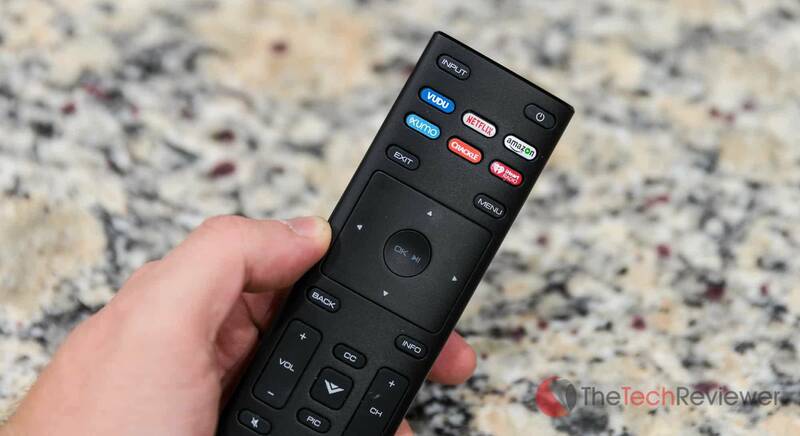 The included remote is the newest version VIZIO offers for their M-series televisions, but do note this could change with any future firmware updates (and if so you must be quick to request the remote or you'll have to buy one). It is rather basic but allows you to navigate the entire SmartCast OS without the need for a mobile app remote. SmartCast OS is a decent operating system for televisions, but far from anything impressive such as Android TV or webOS. It is rather basic although it has many of the popular built-in web apps for streaming service that you'd seek such as Netflix, Hulu, Amazon Prime Video, Vudu, YouTube, and iHeart Radio. 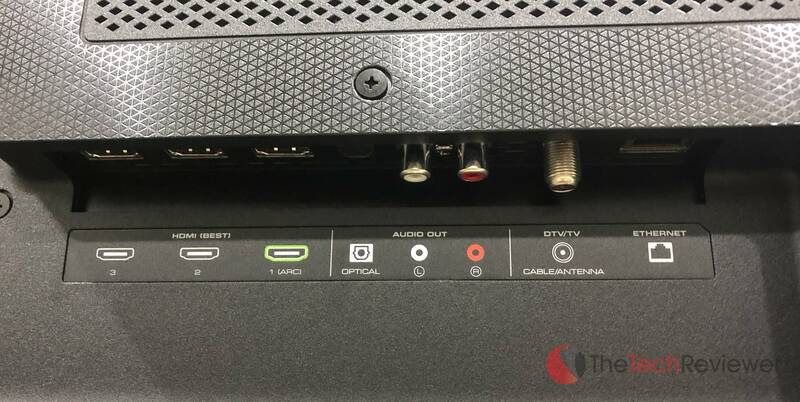 Beyond this, the M-Series models still have a Chromecast built-in so you can stream any third-party applications that support casting to your VIZIO television in theory. In execution, I haven't found this to be the most reliable but I'll get more into this in the next section. Jumping onto one of the latest crazes in the technology world, voice assistants are rapidly entering the homes of millions of consumers. 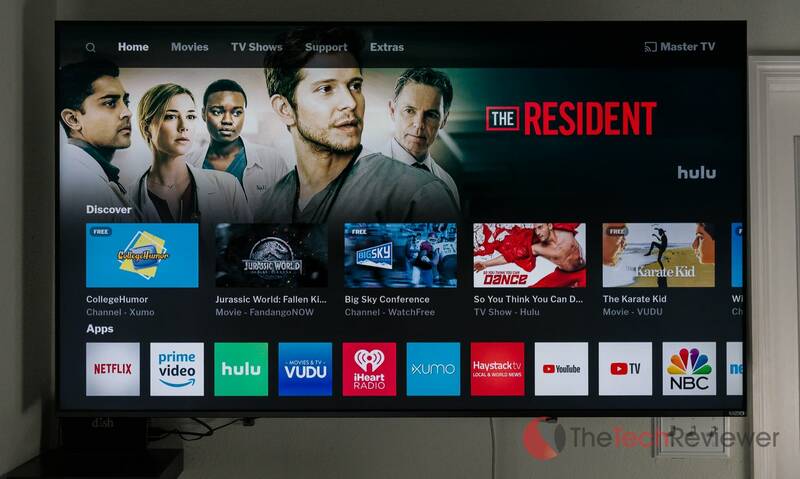 VIZIO has realized this and incorporated direct support this TV's operation through an accompanying device (this means there is no Alexa or Google Assistant technology built into this model). So as long as you have a Google Home or Amazon Echo close to this VIZIO TV, you'll be able to use voice commands to do things like change volume, channel, power and input settings. Some SmartCast applications will support things like fast forward, rewind and pausing although this will differ on an app-by-app basis. 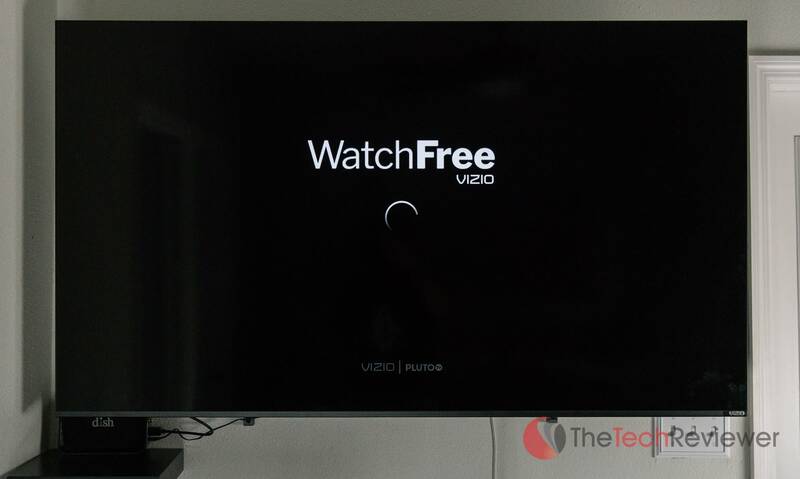 About a month ago, VIZIO launched a free service for their SmartCast TV owners called "WatchFree". The feature has its own dedicated input and allows customers to browse and enjoy a select of live TV channels powered by Pluto TV (a TV streaming service). Popular content options include Pluto TV Movies, NBCNews/MSNBC, Fox Sports, Crime Network and the Surf Channel. Surprisingly enough, there is some good indie content including a dedicated Minecraft channel for all you gamers. While this likely isn't an ideal alternative to a regular cable TV or premium streaming service subscription, it is a nice add-on from VIZIO and is available free of charge as long as you have an adequate Wi-Fi connection and accept the terms of service. 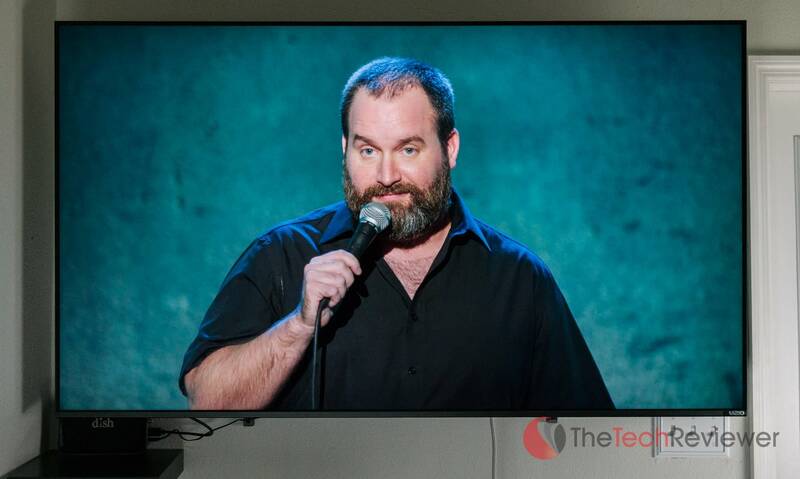 We've been using the VIZIO M65-F0 on a daily basis for about 35 days now and have had a chance to test out the television through various uses. Below we will cover the strengths and downfalls of this TV model's performance based on our period of use. Right out of the box, the VIZIO's picture quality is excellent and admittedly at the top of its class for the price. While it may not have the most advanced panel technology that its higher-end competitors harness, yet it still packs a punch offering vibrant colors, decent black levels, crisp detail and clarity that will impress most watchers. 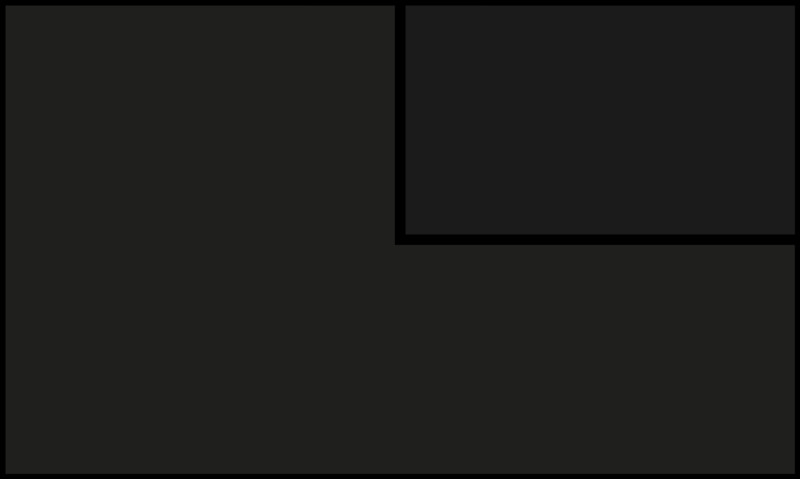 The best example of the potential of this model regarding performance is to watch the retailer's demo mode which you can access through the menus. In this setting, the VIZIO model will go through some sample video clips chosen by the manufacturer which are natively 4K HDR thus giving you the ability to appreciate the best of both of these formats. We say this as right now in the current content market, there isn't a ton of HDR or 4K content available to the consumer market. Sure, you have some on premium streaming platforms like Amazon Prime Video and Netflix, but much of these are reserved for original content only. There aren't any cable or satellite providers who are currently offering broadcasting support for either format natively although this will be likely changing in the coming years. We'll be frank from the start that the speakers in this TV are mediocre at best. The primary reason the native sound quality is so marginal due to two things. First off, with such a slim profile, there just isn't a lot of room inside the TV to put sizeable high-quality speakers that are small. Secondly, the affordable price-point also means that the quality of speaker that they can utilize will be lesser than say a competing 65" 4K HDR model that may be priced at $1.5K or $2K. The actual sound quality isn't terrible, but it lacks much of the sound depth and bass emphasis that most consumers prefer for watching TV, movies or gaming. Fortunately, this is why companies make soundbars, and some of them are decent enough to improve your listening experience without breaking the bank. Some of you may be interested in buying this TV for gaming purposes. 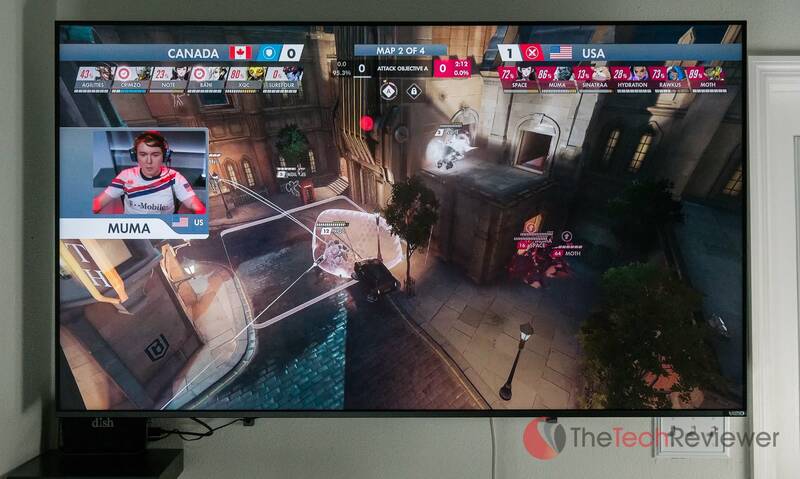 While our primary use of the TV during testing was not gaming-related, we hooked it up to our PS4 and Xbox One to run it through its course. Depending on the genre of games, a TV this large may be a bit awkward to play on due to the sheer scale of the screen so with an FPS title, be sure that the room will allow you to site far enough back from the screen for an optimal experience. Visually, gaming on the VIZIO M65-F0 is an exceptional experience although much of it will depend on your gaming console and title. Keep in mind, only the newest Xbox One X and PS4 Pro will be able to utilize the full capabilities of this panel as in 4K UHD resolution and HDR technology for playing video games. There is a "game low latency" mode which will help resolve any input lag coming from your system's HDMI cable to the display. If you are going to be playing any high-action games, then we would highly recommend enabling this in the settings. 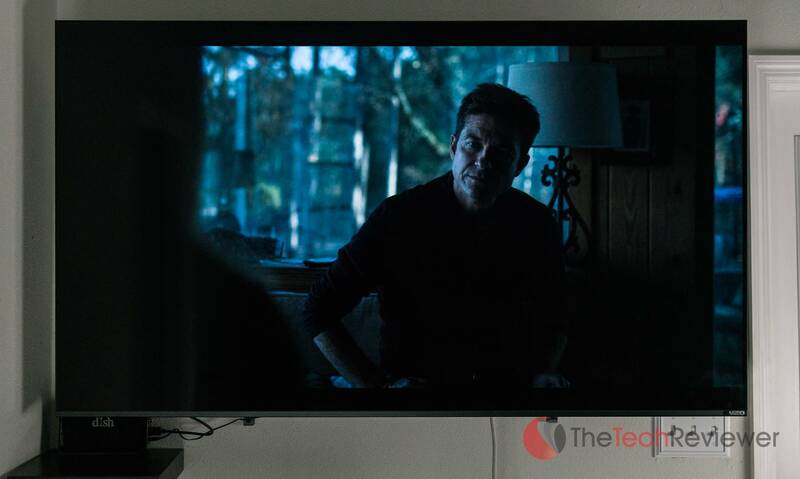 While the majority of our experience with VIZIO's M65-F0 television were positive, there are a few bugs and inconsistencies that occurred during our evaluation period that were a cause of frustration or annoyance. The first problem is an odd one but happens a good majority of the time. For some reason when we turn the TV off with the remote, it has a tendency to turn itself back within 30 seconds on despite the remote sitting stationary without any interaction. We'd estimate this happens about 50% of the time, but it can be obnoxious as we have turned the TV off and left the room only to come back and see the display has been on for hours unattended (thus wasting energy and adding additional, unnecessary hours to the total "screen on" time). 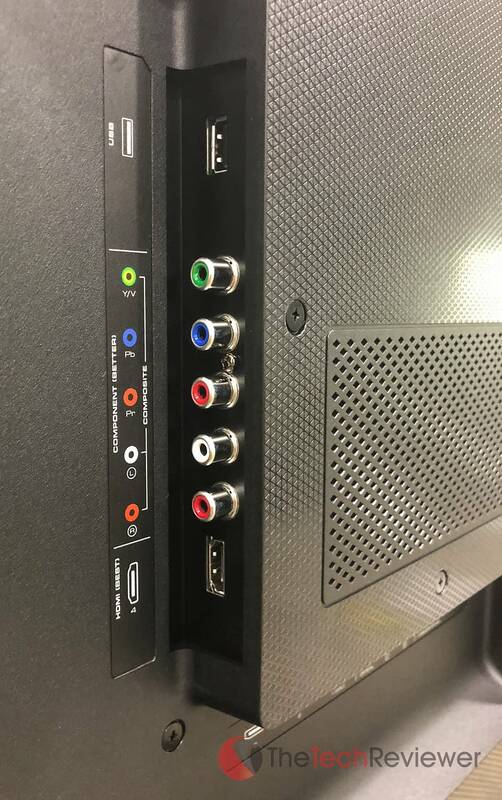 The second issue is one that occurred with the previous generation M-Series and SB3651 soundbar that we have previously reviewed and it has to do with the integrated Chromecast within the M65-F0. While traditional Chromecast apps like YouTube and Netflix work excellent with the built-in casting ability, there is a lot of inconsistencies when trying to stream third-party apps like Twitch.tv or Spotify. It will work from time to time, but only about 50% from my experience. For this reason, we purchased a regular Chromecast (only $35) which we plugged into this TV and use to reliably stream to for these types of services (especially Twitch). Ultimately, VIZIO's emphasis on providing sleek television models that offer excellent specs for the price is something that the company has been accomplishing for years. In the case of the M65-F0, this model follows suit offering a sleek, thin design with tiny bezels and a high build quality. From a feature perspective, the integrated Chromecast, 4K UHD resolution and support for all modern HDR formats make it a significant upgrade for someone looking to get up to par with the latest TV standards. 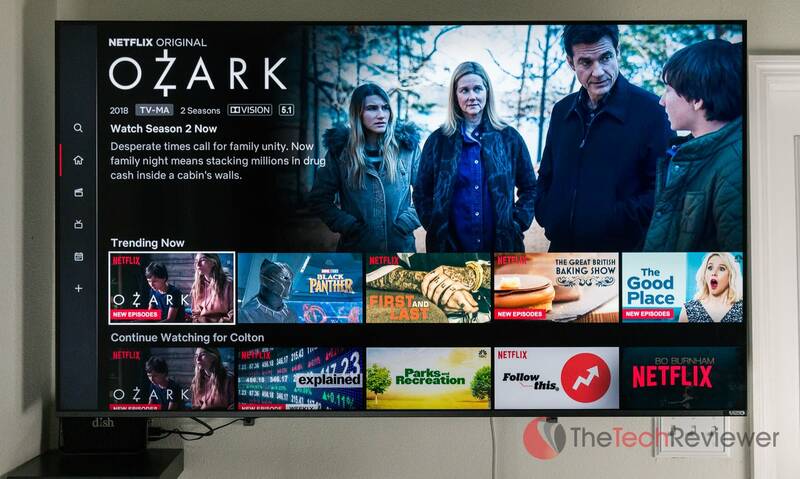 While those with an unlimited budget should be looking at VIZIO's P-Series Quantum or LG's OLED models, you won't find a better 65" model that offers such an appeal with this high of specs for under $1K.